With E3 right round the corner, a number of studios attending are releasing videos teasing or covering what they will have on display for the show, come June 13-15. Keeping up with this trend, EA has tapped a number of their creative minds to put together a video outlining what players can expect Star Wars Battlefront 2 to feel and play like. In the video, which can be seen in full below as well as on YouTube, a number of producers and directors are featured from different companies within the EA (the publisher of Battlefront 2) family. Thanks to this, we can get a feel for what type of talent will be seen on the game, such as the team at Criterion games, formerly of the Need for Speed and Burnout Series. This video summarizes what has been said about the upcoming Battlefront 2 while preparing players for what they can expect to see in the coming weeks, such as specifics on the campaign, multiplayer, new heroes and villains and, of course, co-op. 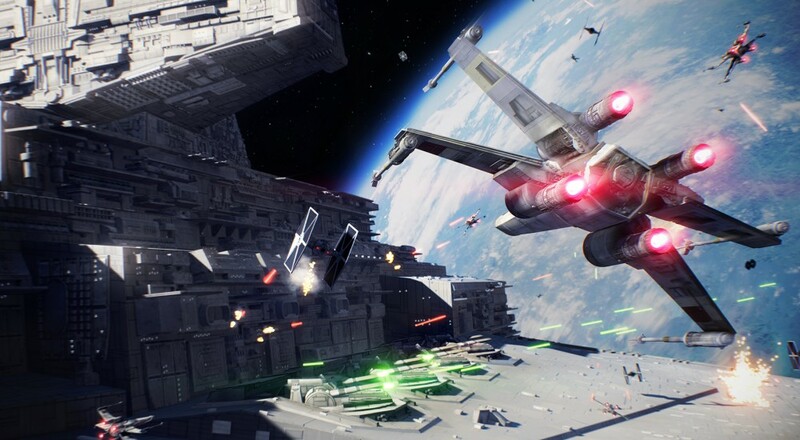 Battlefront 2 is set to launch into space on PlayStation 4 and Xbox One on November 17, 2017. Will you be joining the fight, or was the last installment enough for you? Let us know in the comments below, and stick with your friends here at Co-optimus.com for all things co-op. Page created in 1.2937 seconds.